I've been meaning to do this post for ages, ever since blogging about the Core Collection (here) back in January. There are lots of Real Techniques reviews out there, but hopefully there's room for one more! 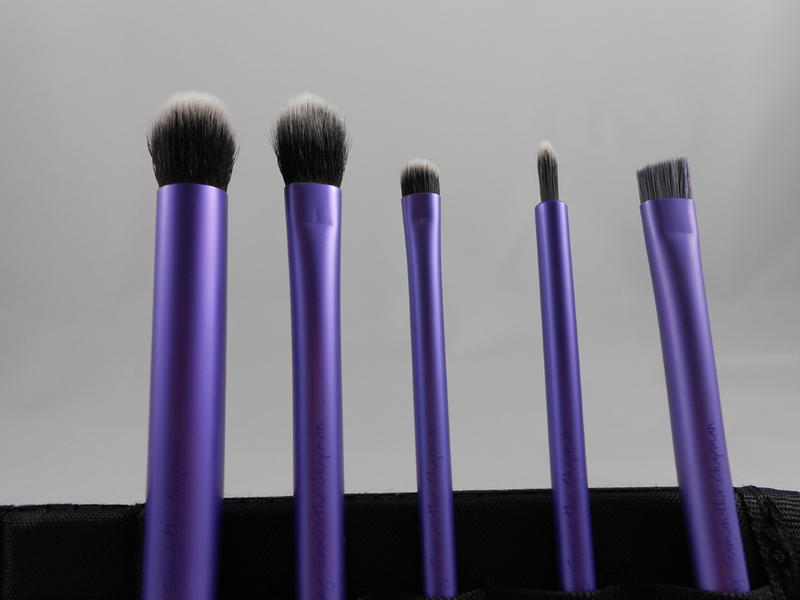 As with the Core Collection, the brushes come with a 2 in 1 case and stand, which is great to keep the brushes in when travelling or going on holiday. The brush bristles are hand cut from synthetic taklon and are cruelty free. "Applies a smooth, flawless foundation of color"
This is a lovely, soft and fluffy brush. The round, fairly chunky (but not too much) brush head really does make applying an all over base shadow effortless. "Soft, oversized design for effortless contouring"
This is the brush that I mainly wanted this set for and I'm not disappointed. I'm not the best at eyeshadow application, but having a thinner and slightly more tapered brush head than the Base Shadow Brush, means that applying and blending a second eyeshadow along the crease of the eye and outer corner is a whole lot easier. "Designed for precision detailing, spotlighting, highlighting, and smudging"
I really underrated the Accent Brush when looking at the set, but as the description states it is a great multi-tasker. I mainly use it for applying a light coloured eyeshadow on the inner corner of my eye and on the brow bone. It's also great to use if you want your eyeshadow to have a more precise winged shape - create a line of eyeshadow using the Accent Brush from the outer corner and blend with the Deluxe Crease Brush. "Tapered cut is ideal for dense or fine eyeliner application"
I have a bit of a love/hate relationship with this brush - I don't think it works well for a fine eyeliner application. I prefer to use the smaller eyeliner brush that came with the Maybelline gel eyeliner. However it's great if you want an instantly thicker line. I also use it to apply eyeshadow as an eyeliner by slightly wetting the end of the brush. 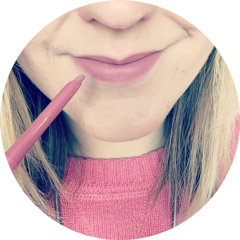 "Distinctive shape easily defines eyebrows"
The tapered Brow Brush is the perfect size for me and puts my eyebrows back into a nice, tidy shape. I use it to apply the Benefit Brow Zings wax instead of the teeny tiny brush that comes in the set. In summary, this set covers all the main brushes you need to define your eyes and brows. For someone like me, who only owned a basic eyeshadow brush from E.L.F. prior to this, it's a great value for money way to start out - the perfect Starter Set! You can buy the Real Techniques Starter Set from Boots for £21.99 here. Do you own the Starter Set? 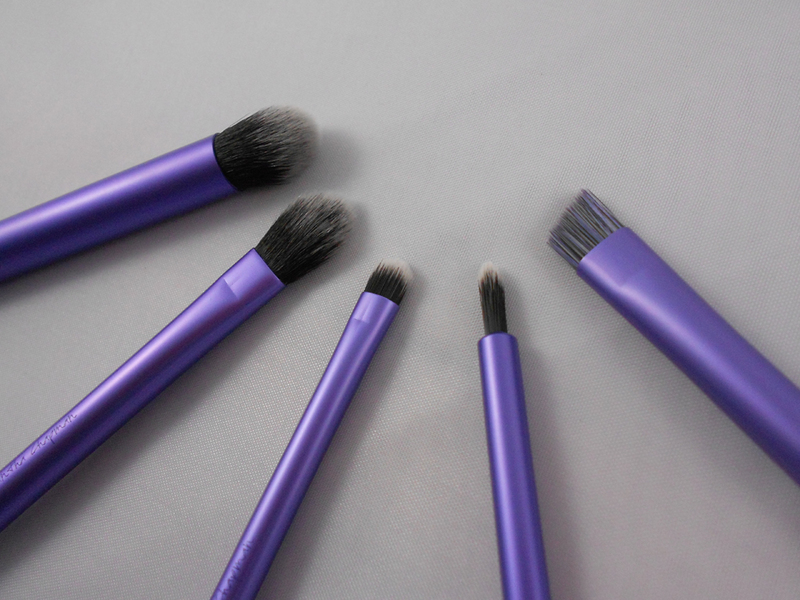 Which is your favourite brush from the set? Just ordered this set from Ulta and I am IN LOVE!!! !